Furry Cat Designs - Karen Henderson - independent UK Stampin' Up! demonstrator: Hello New Autumn Winter Catalogue from Stampin' Up! 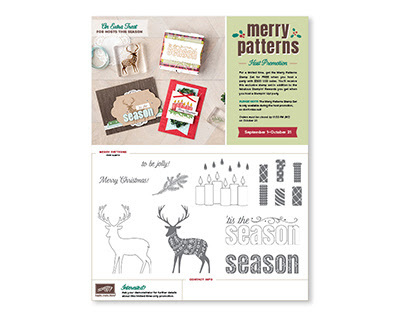 Hello New Autumn Winter Catalogue from Stampin' Up! 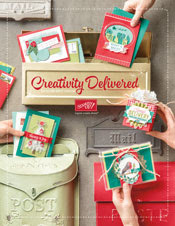 I am delighted to share the new Autumn Winter catalogue, Creativity Delivered, by Stampin' Up! and I hope that you will be as excited as me about all the gorgeous new products. Do you want to make a start on your Christmas cards, gift tags and packaging? Are you anticipating the rustic colours that Autumn will bring or are you thrilled by the spookiness of Halloween? There are pages and pages of creative ideas to inspire you in the new catalogue. Why not make a drink, pull up a seat and download a copy of Creativity Delivered HERE? A new catalogue is always very exciting, but today there is even more to be excited about! Stampin' Up! know that Christmas is traditionally the time for preparing seasonal cards and decoration. If you host an event between 1 September and 31 October, you can get a free stamp set with a qualifying order.